Inspired by their classic boot, the Radford mens waterproof boot from Timberland has amazing flexibility and SensorFlex™ technology outsoles. Fashioned with premium waterproof nubuck leather with seam sealed construction to keep your feet dry in rain and snow. Fastened with rounded gold and red laces through gold coloured 'nut' eyelets for an industrial look - the Timberland Radford mens boot also has a well padded collar for additional comfort. 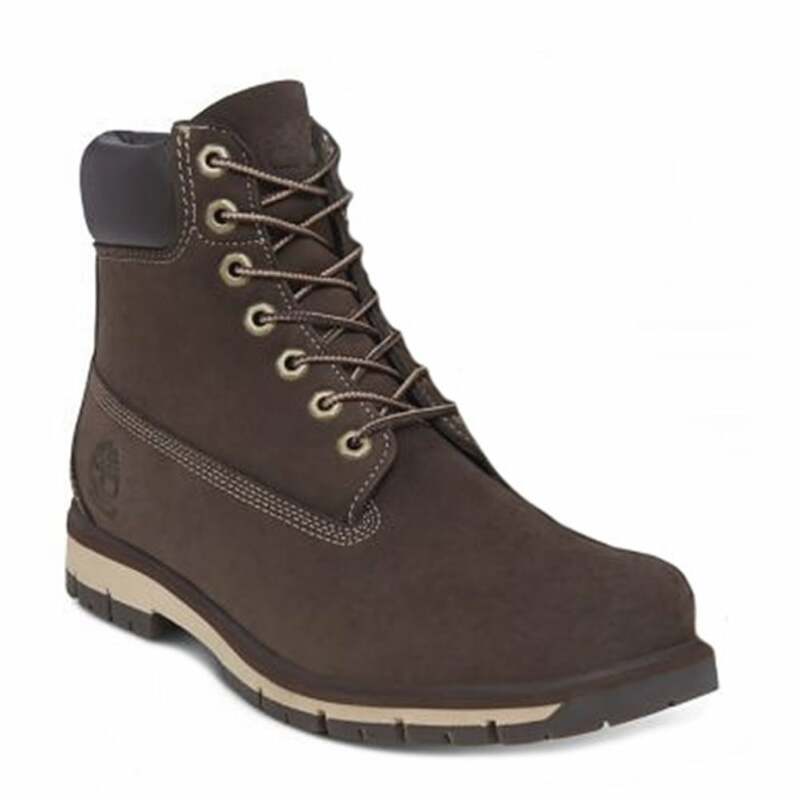 A great looking boot to team with your favourite jeans and chunky winter knits - or even the Christmas jumper from your granny - get your pair of Timberland Radford A1JHQ Mens Padded Collar Waterproof Boots today!